In the Yonkers ghetto, on the outskirts of New York City, aimless-millennial Victor finds himself without a job and short on the utility bill. To make matters more… uncomfortable, he hasn't had a bowel movement in longer than he can remember. Victor seeks solace by making friends of dubious character, smoking crack of dubious quality, and pursuing women of dubious intent. As Victor readies himself for his desperately needed dead-end job interview, the consequences of his lifestyle catch up with him. 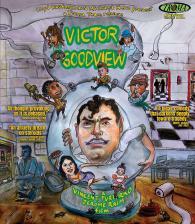 VICTOR GOODVIEW provides a true alternative to the typical, woe-is-me white boy after-school-special.